Do you have a creative child? An artist? Maybe a designer? There are a lot of great creative travel activities. 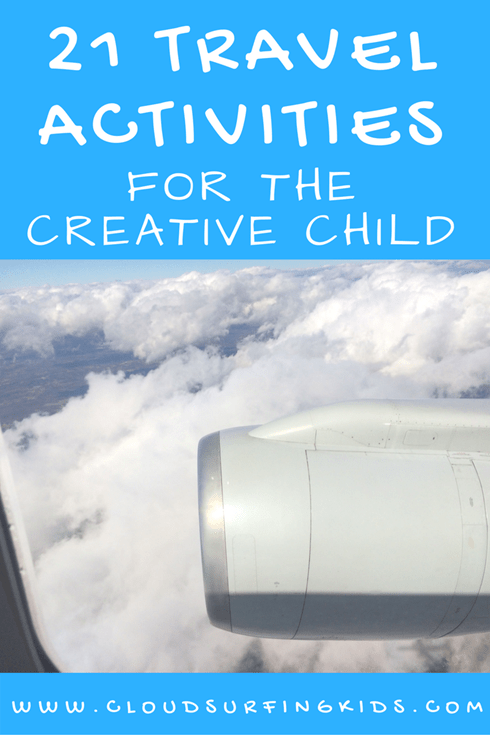 Keep your child occupied and entertained, maybe even away from screen-time, on your next flight or road trip with some of these travel activities for the Creative Child. As I compile this list I’m thinking about the elementary school-aged child, but you will find that many of these activities are appropriate for all ages. When buying for ages 5 and under be aware of potential frustration levels and of choking hazards. *Prices listed are current at the time of posting. Amazon prices can change often, so check the price in your cart. Dries in 90 seconds! I can’t wait to try these. I am not sure if there is any scent to them, though. Do you know? Comment below. If this paint has a smell then it may not be good for the aircraft. I’ll update this post once I try these paints! Word to the wise: pull back long hair and remind kids to never get Bunchems near their hair. Bunchems have tiny hooks that will tangle with hair easily. I always pack safety scissors when I travel, because you just never know when you might need scissors. *My kids play with these often and have never had a hair disaster with them, so that’s why I feel good recommending them. If your child is really into building and design, this kit may be worth packing even though it is a bit large (12 x 2.8 x 7 inches) and heavy (2.2 lbs.). A creative builder may spend an hour playing with Zoob pieces. I like this particular Lego kit because once you build it you have two characters and two cars with which to play. These activities provide proprioceptive input (aka “heavy work”), which helps to calm and regulate the nervous system. Everyone can benefit from that, especially a creative child! Squish and squeeze it, mold it into any design. We used to always carry Play-Doh on flights, but now we pack this foam instead. I put each color into individual sandwich bags and smash them flat to put into our busy bag. TIP: I recommend bringing along a pair of safety scissors when you pack Wikki Stix. Sometimes you need just a small piece but they are not breakable! These little mosaic sticker kits are great! Just be careful not to drop the stickers on the floor. I like to put them straight into a Ziploc bag upon opening and just work with one color at a time. We have this puzzle and really enjoy it. There are patterns from beginner to expert and the expert level is very challenging for me! I believe we got this when my daughter Ella was five, and she was able to do the beginner puzzles. Zig-zag and coil the connected cogs to match each challenge card image. What do you think of this list? 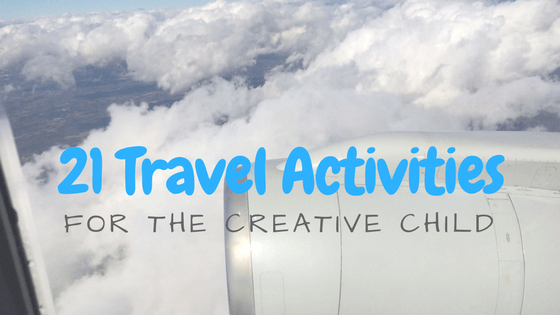 Do you have any travel activities for the creative child to add? I love to get comments from my readers. Comment below or on my Facebook, Instagram, or Twitter page.